PGA West Weiskopf Private Course Hole 1: The first shot of the day has to negotiate the creek running down the middle of the split fairway. Either side is fine to play from, with the advantage being knowing where the pin is placed for the best angle. The green also has the creek in front and left of it for the golfer to contend with. 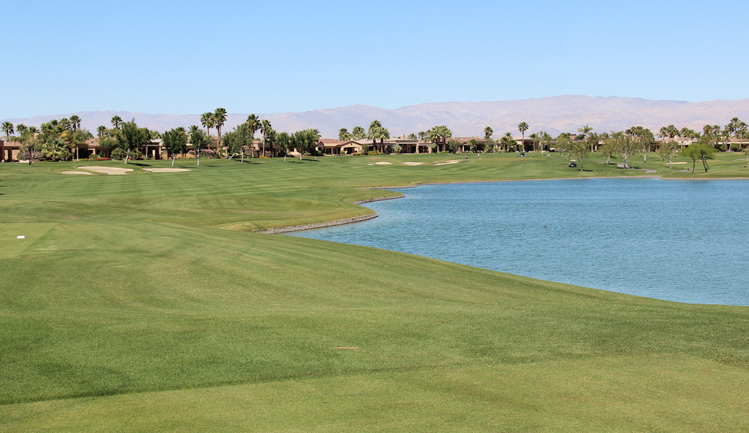 PGA West Weiskopf Private Course Hole 2: This difficult par four is a dogleg left with water in play on both shots. Left if obviously bad, but there is mounting to the right, which keeps the ball above the golfer's feet so that the next shot will more likely go left, which, again, is bad. 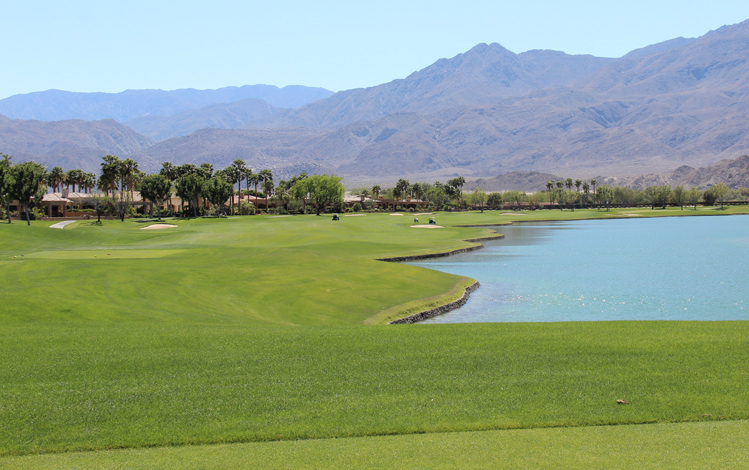 PGA West Weiskopf Private Course Hole 9: The final hole on the front nine is a par five. The drive is pretty wide open with bunkers the only real trouble. The green is basically down a hill, blind from about 150 yards out (except the flag) and there is a collection bunker in front of the sloping putting surface. 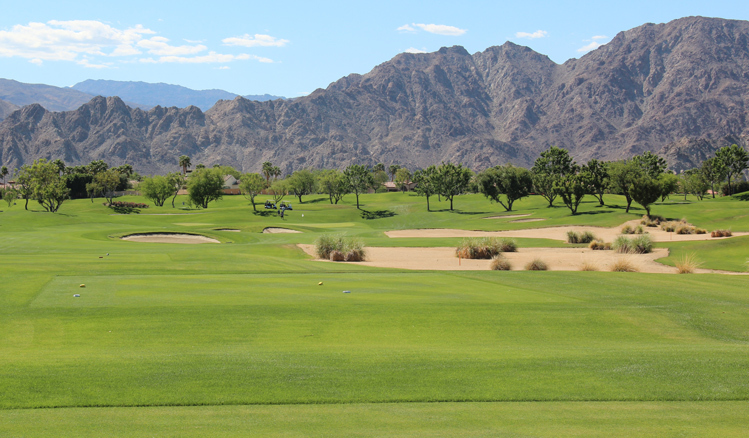 PGA West Weiskopf Private Course Hole 10: The back nine begins with this great, sweeping dogleg right par five with great views of the mountains behind. The water is in play on all three shots and there is out of bounds left as well as seven bunkers to deal with along the way. 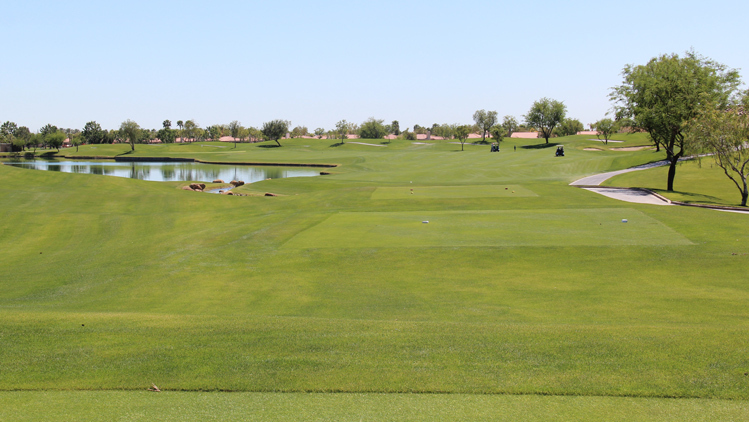 PGA West Weiskopf Private Course Hole 11: This drive is nasty as the hole is long, so driver is needed, but the bunker is left in the landing area and the water is in play down the right. The second shot is uphill to a large green with deep bunkers to the left side. 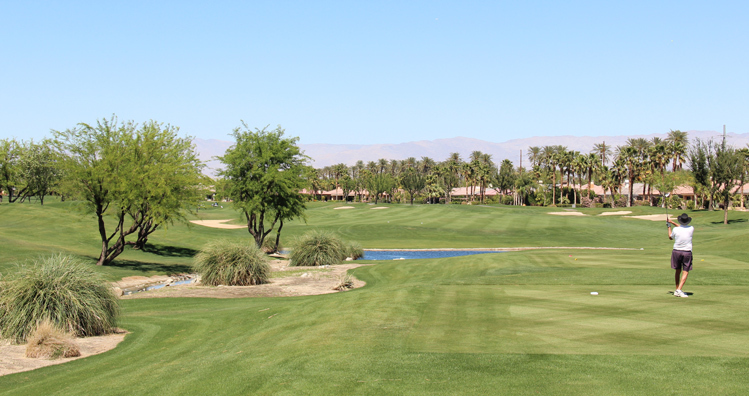 PGA West Weiskopf Private Course Hole 14: This is a drive-able par four with a slew of bunkers scattered throughout, and a native area to the right. However, there is plenty of room for layups or aggressive routes, with putting on the green being the real challenge. The mountains behind provide a great vista. PGA West Weiskopf Private Course Hole 16: This relatively short par five has a relaxed drive, but the water (complete with cascading water fall and flowers) is in play for the rest of the hole, with pin placements to the right being the most challenging as any approach but fly the bunker, but avoid a watery grave. 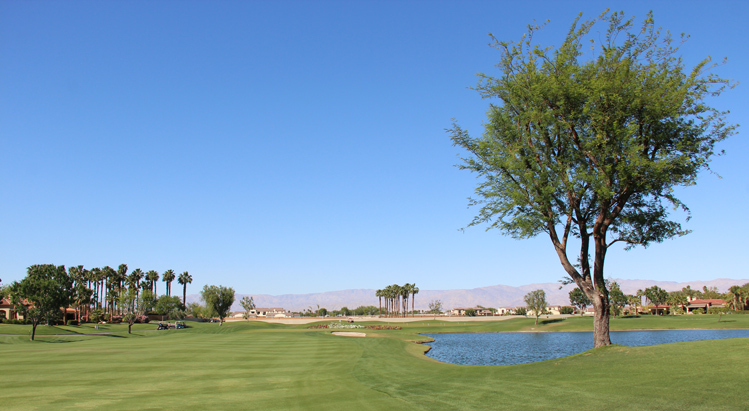 PGA West Weiskopf Private Course Hole 18: The finishing hole has a tough drive with church pew bunker down the left side of the dogleg. However, staying close to it provides a shorter approach with a better angle. The green has water and bunkers right and behind.